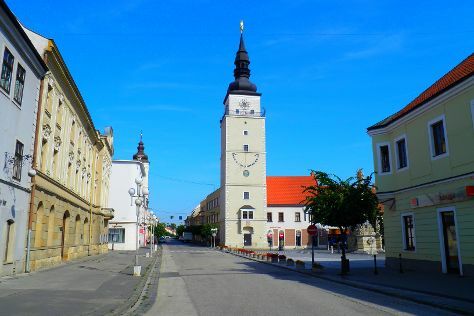 Nitra is a city in western Slovakia, situated at the foot of Zobor Mountain in the valley of the river Nitra. On the 2nd (Sat), make a splash at Galandia, spol. s r. o., then step into the grandiose world of Nitra Castle, and then get lost in a book at Chateau Appony. On the 3rd (Sun), you'll have a packed day of sightseeing: don't miss a visit to Mala Synagoga Trnava, take in the architecture and atmosphere at St. John the Baptist Cathedral, take in panoramic vistas at Town Tower, snap pictures at The Colonnade Bridge, then take in the architecture and atmosphere at Church of St. Michael the Archangel, and finally pause for some photo ops at Black Death Column. If you are flying in from Czech Republic, the closest major airport is M. R. Štefánik Airport. Expect a daytime high around 3°C in December, and nighttime lows around -1°C. Finish your sightseeing early on the 3rd (Sun) to allow enough time to travel back home.